I designed a skateboard builder that allowed the customer to customize the board they wanted to buy; they could choose what type of truck, what style of wheels and a variety of accessories to complement their purchase. I also designed a custom skateboard truck builder where the customer could choose what color hanger, baseplate and bushings they wanted, this gave our customers endless possibilities in truck colors. We saw a 20% increase in sales due to new e-commerce website and functionality. 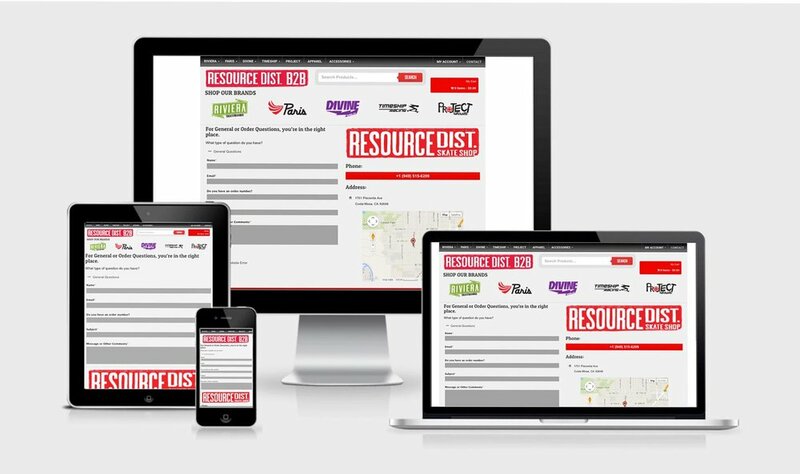 As creative director, I set the catalog guidelines and specs for all of Resource Distribution’s product lines. I was involved in all aspects of catalog production, including layout & design. I set our product photography standards and guidelines for shooting across all media platforms. Before hiring an in-house media manager, I handled all product photography as well.